Jake Locker | Clarksville Sports Network - Clarksville Tennessee's most trusted source for sports, including Austin Peay State University. 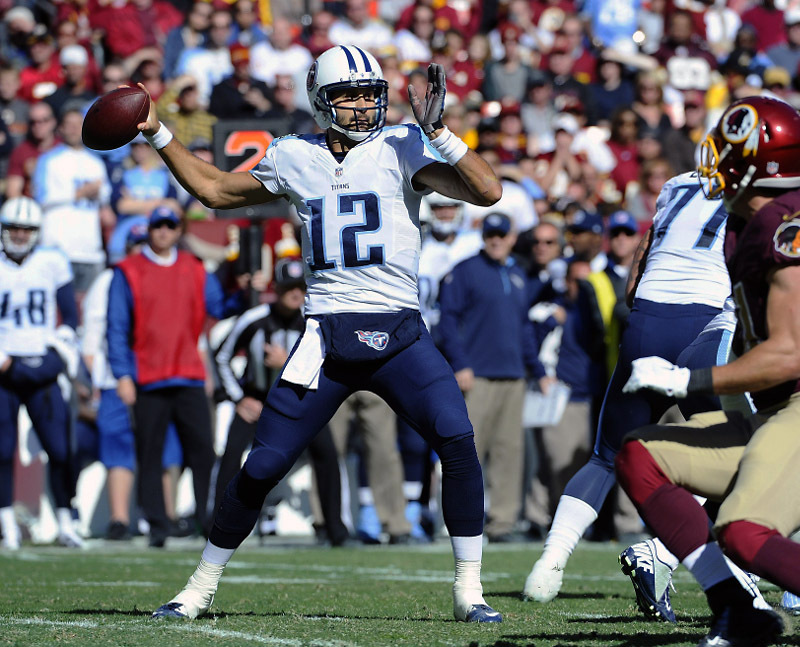 Nashville, TN – In their return to Nissan Stadium after two weeks on the road, the Tennessee Titans dropped to a 2-11 record with a loss to the New York Giants. 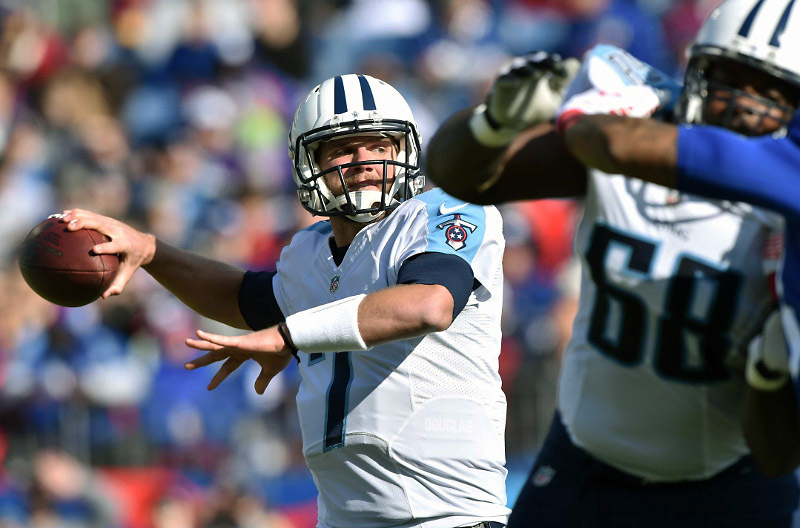 QB Zach Mettenberger became the third quarterback in franchise history to start at least six games as a rookie. He was 14-of-24 passing for 125 yards with an interception, but in the fourth quarter his day came to a premature end for the second consecutive week when he aggravated a right shoulder injury. Nashville TN – The Tennessee Titans and New England Patriots were charter members of the American Football League in 1960 as the Houston Oilers and Boston Patriots. In the league’s inaugural season, the Oilers swept both games, winning 24-10 in New England and 37-21 in Houston. The teams met 20 times as part of the AFL (1960-69), with the Patriots earning a 10-9-1 advantage. 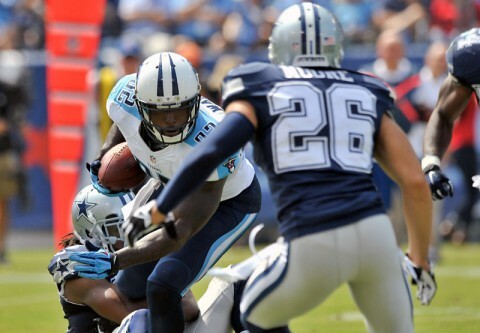 Nashville, TN – In their 2014 home opener and head coach Ken Whisenhunt’s debut at Nissan Stadium (then LP Field), the Tennessee Titans fell to the Dallas Cowboys 26-10. Dallas took the lead at the end of the first quarter with a 48-yard field goal by K Dan Bailey, then proceeded to score 13 more unanswered points into the third quarter. Cowboys RB DeMarco Murray ran 17 times for 115 yards in the first half, finishing the game with 167 yards and a three-yard touchdown run. 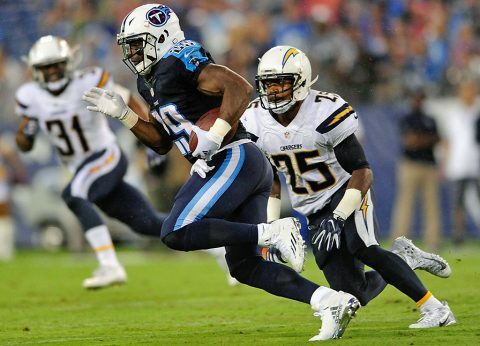 Nashville, TN – The Tennessee Titans and Los Angeles Chargers share a long and storied history. The two teams, founding members of the American Football League, have met 45 times since 1960. The Chargers lead the series 27-17-1. 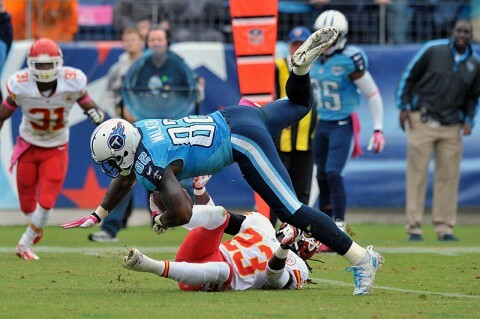 The Titans were founded as the Houston Oilers and moved to Tennessee in 1997 before becoming the Titans in 1999. The Chargers began in Los Angeles in 1960, moved to San Diego in 1961, and moved back to Los Angeles in 2017. 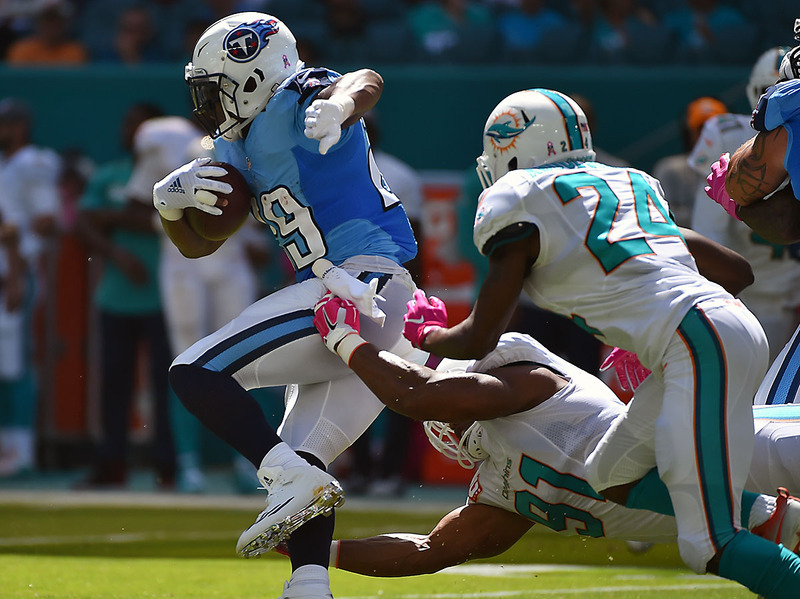 Nashville, TN – This week the Tennessee Titans and the Miami Dolphins will renew a rivalry that began in 1966, when the Dolphins entered the American Football League. 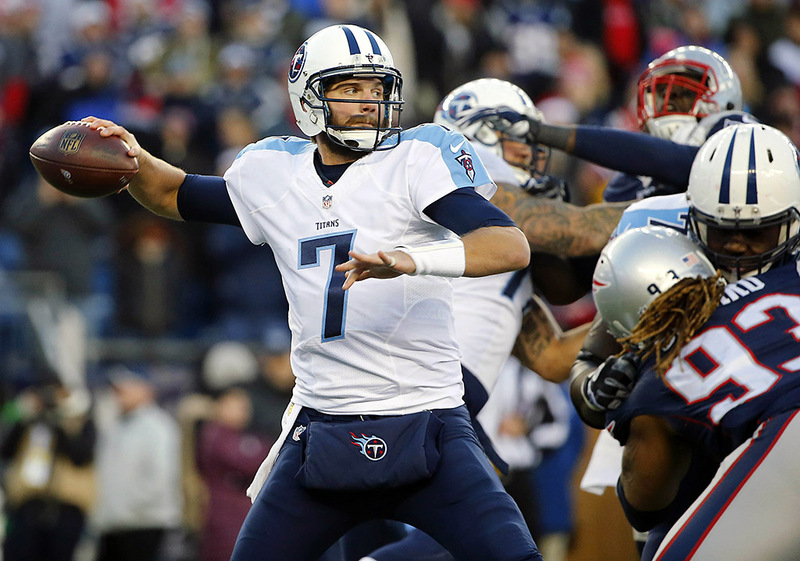 The Titans are 17-20 all-time against Miami, including a playoff victory in 1978. This week’s contest marks the fourth all-time season opener for the Titans/Oilers against the Dolphins and the first such occasion since September 11th, 2004, when the game was played in South Florida a day early due to the approaching Hurricane Ivan. The Titans won that day by a final score of 17-7. Nashville, TN – The Houston Oilers and Boston Patriots were charter members of the American Football League in 1960. In the league’s inaugural season, the Oilers swept both games, winning 24-10 in New England and 37-21 in Houston. Upon the AFL-NFL merger in 1970, the Oilers moved to the AFC Central Division, and the Patriots began play in the AFC East. They officially became the New England Patriots in 1971. 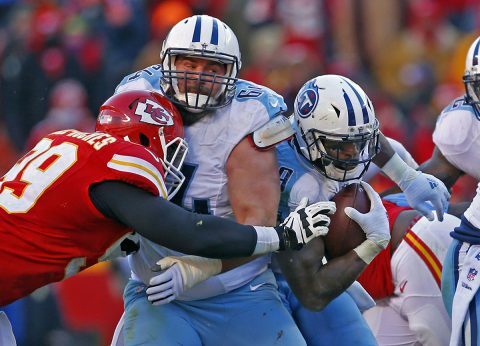 Nashville, TN – The Tennessee Titans and Kansas City Chiefs are historic rivals that played an integral role in the formation of the current NFL landscape. In 1959, late Titans owner K.S. “Bud” Adams, Jr. and the late Lamar Hunt, founder of the Chiefs, spearheaded the “Foolish Club,” a group of eight original American Football League teams that would begin play in 1960. Nashville, TN – This week’s game marks the 66th all-time meeting in the regular season between the Tennessee Titans and Cleveland Browns. In the previous 65 outings, the Browns own a 35-30 advantage, including separate nine- and six-game winning streaks by the Browns. 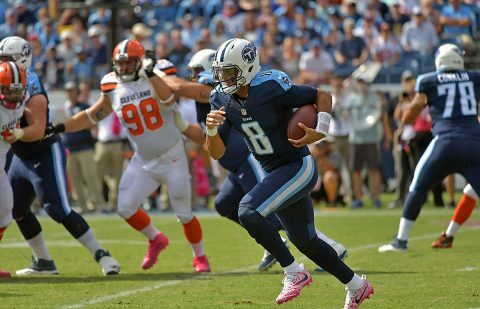 The Titans’ nine-game losing streak against the Browns from 1970-74 is tied (Oakland, 1966-73) for the second-longest in franchise history. Additionally, the clubs have played one playoff game, a 24-23 Wild Card win by the Oilers in 1988.